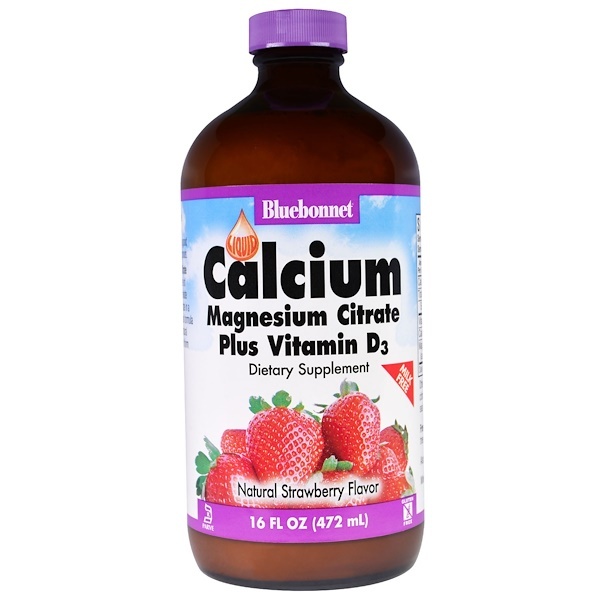 Bluebonnet's Liquid Calcium Magnesium Citrate Plus Vitamin D3 provides calcium in a chelate of calcium citrate, as well as magnesium in a chelate of magnesium citrate and magnesium aspartate in a naturally delicious strawberry flavor. Plus, this formula contains vitamin D3 (cholecalciferol) from natural lanolin. Available in an easy-to-swallow liquid form for maximum assimilation and absorption. 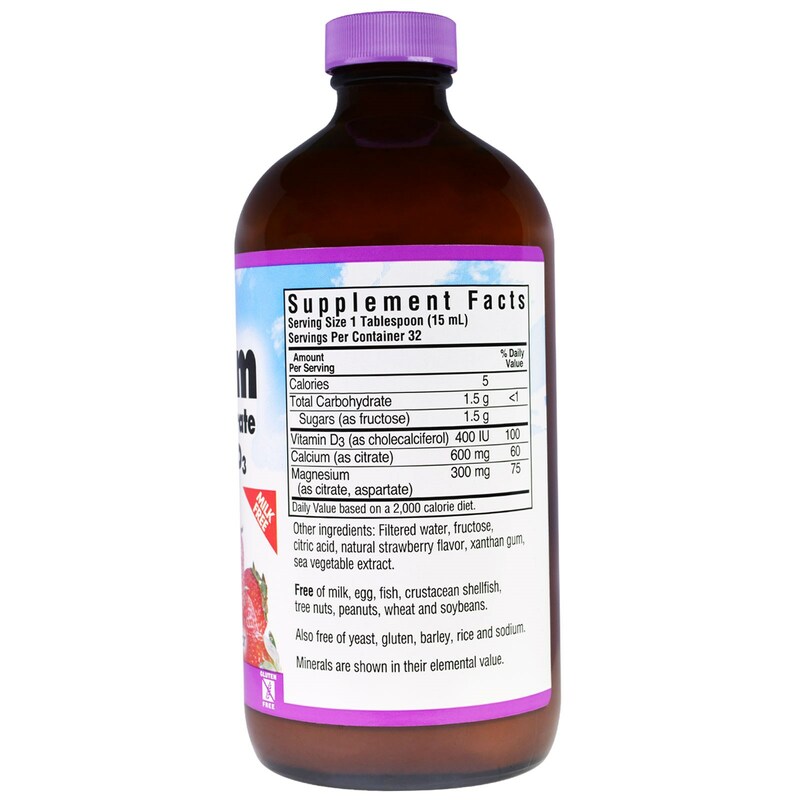 Filtered water, fructose, citric acid, natural strawberry flavor, xanthan gum, sea vegetable extract.